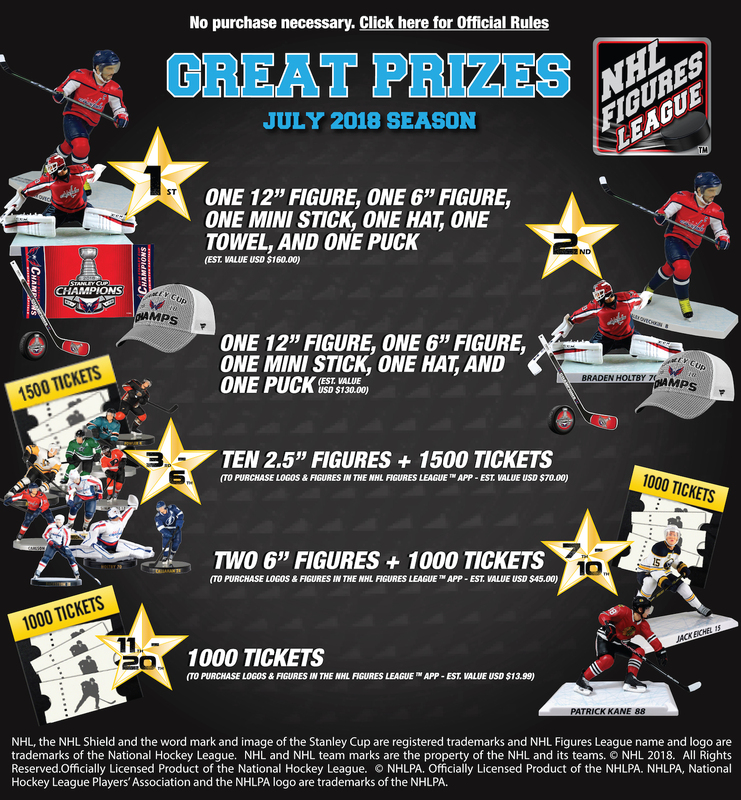 The NHL might be in its offseason but the NHL Figures League is just heating up! Check the Leaderboard to find out what prizes are up for grabs this month. NHL and the NHL Shield are registered trademarks and NHL Figures League name and logo are trademarks of the National Hockey League. © NHL 2017. All Rights Reserved. Officially Licensed Product of National Hockey League. © NHLPA. Officially Licensed Product of the NHLPA. NHLPA, National Hockey League Players' Association and the NHLPA logo are trademarks of the NHLPA.